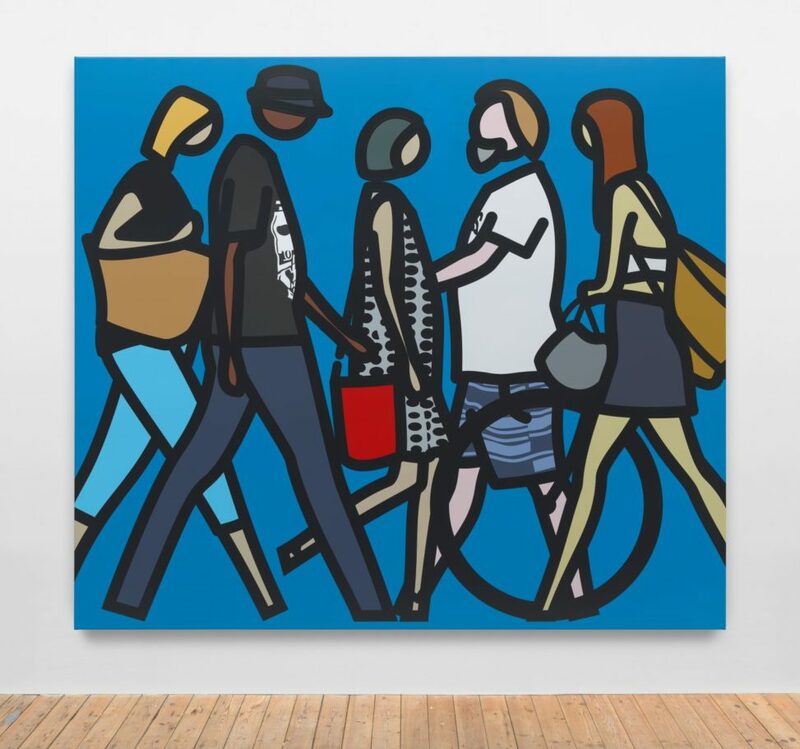 The NGV presents the work of Julian Opie, one of Britain’s most influential living artists. Since graduating art school in the early 1980s and bursting onto a pre-Young British Artists art scene in London, Opie’s work has influenced the wider field of popular culture more than any other artist of his generation – instantly recognisable by his bold, pared back, signature style of depiction. In this exhibition, created specifically in response to the NGV International spaces, a wide range of subjects are on view, each distilling elements of the natural, urban and figurative world to their essence. A city of skyscrapers takes over Federation Court, stretching up to the glass roof; a shoal of carp swim behind the waterfall facade; stone sheep graze in the gardens and a crowd of sculptures of people walking are caught mid stride in the lobby. People are a key focus throughout the exhibition and Opie’s most recent works feature portraits and walking figures drawn straight from the streets of Melbourne. His minimal approach is rendered in painting, sculpture and film, recalling the endless human motion captured in Roman and Egyptian friezes, as well as in the famous photographic sequences by Eadweard Muybridge. In the central gallery, more than forty of the artist’s moving image works – from 1993 to the present – will be on display. The NGV warmly thanks Michael and Emily Tong for their generous support of Julian Opie.